Forums » EU Events » WEDDING IN AMNOON! So at the 4th and 5th of April, there will be a wedding event in Amnoon. 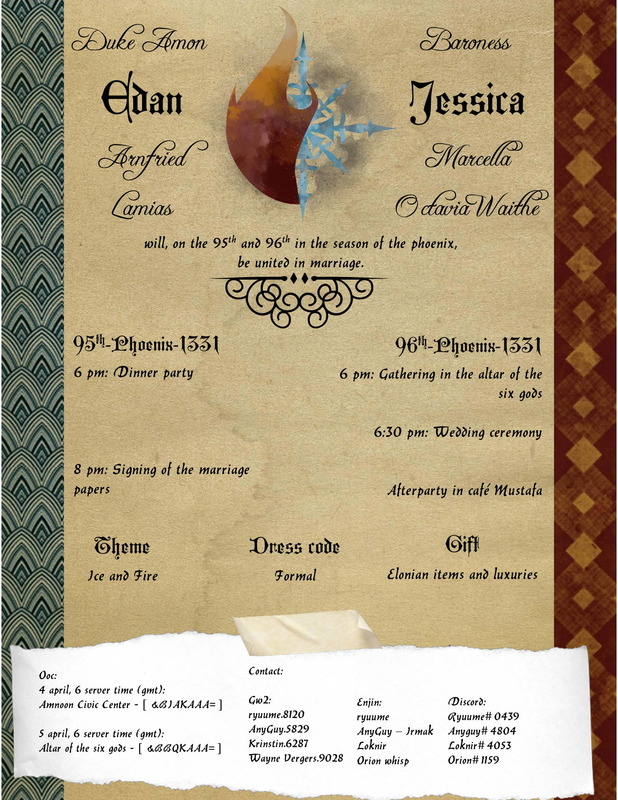 The wedding will be between Duke Edan Lamias and Baroness Jessica Waithe. Please do check the link bellow. Please pass the information around and I hope to see as many as possible for the event ^^ Everyone is welcome! (Except for criminals! <.< >.> ) Cheers! Reminder! Event is today! So, spread the word and if you are free, feel free to join!! ^^ See you tonight!